The new rooftop deck will include the ever-important outdoor bar. 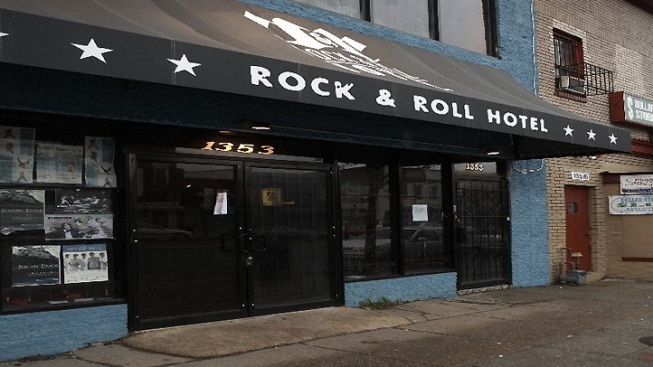 Way back in May, during the nice weather, the Rock & Roll Hotel (1353 H St. NE) applied to open a rooftop deck. After six months of construction, the rooftop deck will make its debut Thursday night. Just in time for the cold! Yessssss. "[It's] a new, large open air area for our dedicated patrons to enjoy," owner Steve Lambert told us. "More places to sit, talk and enjoy each other's company." The Rock & Roll Hotel has been a hallmark for the edgy and/or quirky (aside from musical acts like Blood Ceremony and Lethal Peanut, you'll also find buzzed spelling bees and showings of flicks like "Becky's Massacre III.") A former funeral home, the place has always had themed rooms, but this will be their first expansion outdoors. Lambert said the new space has been met with "excitement and support" from the community. The deck will have a bar, although if you want to order food, you'll still need to do it at the middle level indoors. But you'll probably get cold after awhile anyway, so consider it a compromise.